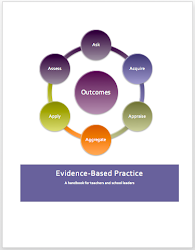 Evidence-based practice (EBP) can be defined as the production or creation of desirable change and the prevention of undesirable change, somehow guided by evidence of what works. Education is a complex enterprise whose very raison d’etre at least partly is to create produce some form of desirable change. Practitioners have to consider how to create the desired changes, so at least some of the knowledge they need is knowledge of ‘what works’ in bringing about the desired changes . By stability – we mean something persists over time and can be relied upon - can be created in various ways – but if made too tight, too structured, it becomes inflexible and the whole system may collapse. Because education is an open and complex system, randomness is inevitable and may overturn even the best laid scheme. That said – EBP is more complicated than both advocates and critics have thought. 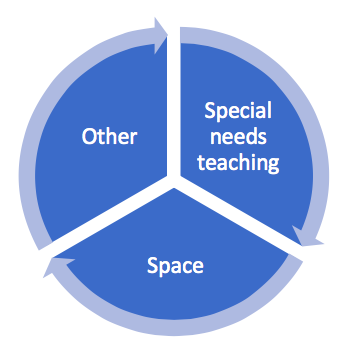 What does this mean for you as an school research lead? It would seem to me that Kvernbekk’s analysis of the nature of evidence-based practice may have a number of implications for you in your role as a school research lead. 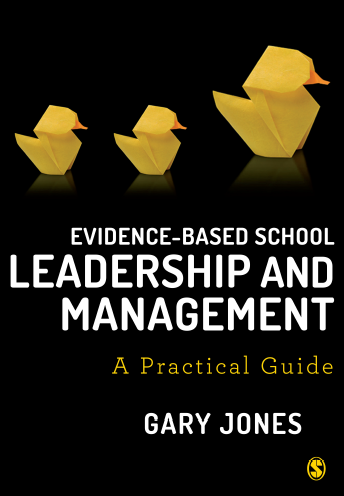 First, if you are ever asked what’s the point of evidence-based practice in schools – the answer is quite straight forward – it’s about making things better by using evidence of what’s worked. Second, given the causal nature of evidence-based practice, it makes a lot of sense spending time understanding and exploring the potential of logic models and the relationship between input, outputs and outcomes. Third, and that is an issue which I’ll discuss in future posts, evidence-based practice is about fidelity to the principles of an intervention, rather than faithfully copying what seems to have worked in another setting. In other words, if you try and faithfully replicate what someone else has done in making an intervention work, you are likely to fail in implementing the intervention. The support factors in your school will be different – so how you implement the intervention will also need to be different. Fourth, it’s really important to understand the role of local knowledge in trying to work out whether the support factors that are needed for an intervention to work, are actually available in your setting. Research evidence is just one source of the knowledge required to do this – you need to understand your setting. Sixth, and this links to the previous point, evidence-based practice is inextricably linked to the purposes of education. If evidence-based practice involves bringing about desirable change or in others making improvements, this requires us to understand why things need to be changed and how will we know whether things have got better. As a school research lead you will have no doubt spent some of your summer reading research articles – be it systematic reviews or randomised controlled trials RCTS - and thinking about whether the interventions you’ve read about will work in your school and setting. 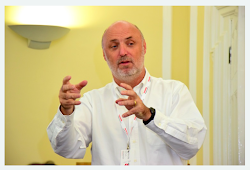 Indeed, you may have been working on a PowerPoint presentation making the case for why some well researched and evidenced teaching intervention which has shown positive outcomes in other schools, should be adopted within your school. So to help with you with the task of developing an argument - which begins with ‘it worked there’ and which concludes ‘it’ll work here’ - I am going to lean on the work of Cartwright and Hardie (2012). However, before I do that, it’s necessary to: define a number of terms, the understanding of which are central to getting out the most of out of this blogpost; then, clarify the causal claim being made when we say something ‘works’. Causal claim - a claim in the form of "A was a cause of B". As such, evidence that supports a claims something works somewhere/there, is not evidence for saying that something will work here. 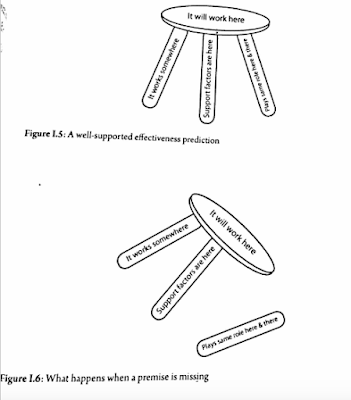 Cartwright and Hardie (2012) claim that what connects ‘it works somewhere’ with ‘it will work here’ is an argument that looks like this. The policy worked there (i.e. played a positive causal role in the causal principles that held there and the support factors necessary for it to play this positive role there were present for at least some individuals there). In other words, if you want to show what worked (A) in another school or other schools in bringing about (B), you are going to need to show that the intervention can play the same causal role in your school – in other words, will a change in (A) trigger the same causal mechanism as it did in the other school or schools. Second, you are going to have to show which of the support factors that were work, and which created the conditions for changes in (A) to bring about changes in (B) are in place and available in your setting. 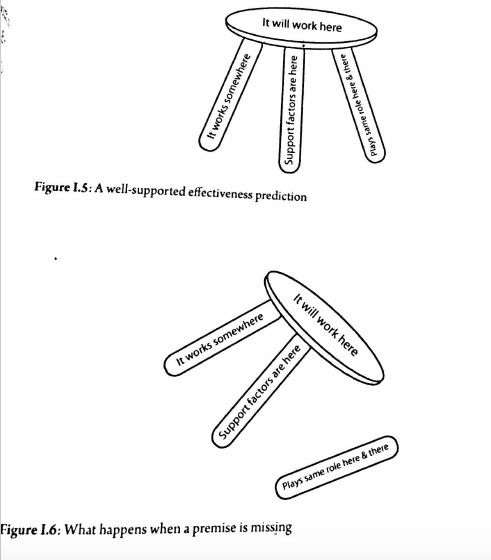 As such, Cartwright and Hardie argue that the effectiveness argument is like a three-legged stool – it doesn’t matter how strong one leg of the stool maybe, if either of the other legs fails – then the stool will fall over. Or put another way, it does not matter whether an intervention worked somewhere or causes the target effect widely – if either the causal mechanism or support factors are not in place – the intervention will not work here. 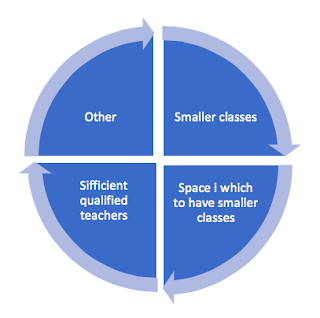 What are the implications for you and your role as a school research lead? The role of the school research lead/knowledge broker is not without significant challenges, difficulties and which also has a ‘dark-side’ - Kislov, Wilson, et al. (2016). So anything that can help you to be clear about the evidence and what it means, and which stops you over-claiming what the research tells you - should be useful. Third, when reading research where there is little or no detail provided about the causal mechanism or support factors at work – then this research could be judged as being interesting but not necessarily that useful. Further reading into the what support factors are necessary for the intervention to succeed will be required. This is the first of a series of posts which are going to cover ground which I hope is relevant to the start of the academic year. These posts will be on topics, such as; causal cakes; causal roles and mechanisms; what do we mean by evidence-based practice; and, when does evidence travel. Cartwright, N. (2013). Knowing What We Are Talking About: Why Evidence Doesn't Always Travel. Evidence & Policy: A Journal of Research, Debate and Practice. 9. 1. 97-112. Kislov, R., Wilson, P. and Boaden, R. (2016). The ‘Dark Side’of Knowledge Brokering. Journal of Health Services Research & Policy. 1355819616653981.